 Vornado now offers two distinct ways to be comfortable: both from one beautiful product. 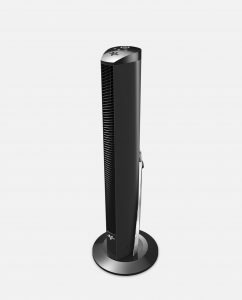 Introducing OSCR37 – the Vornado Whole Room Tower Circulator with Oscillation On-Demand. 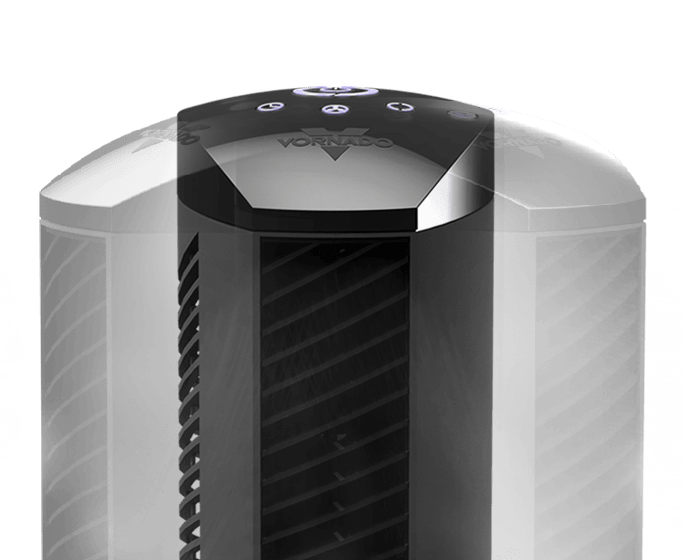 Of course, OSCR37 delivers Vornado’s signature whole room circulation – utilizing stationary, high-velocity airflow to continuously circulate all the air in the room. 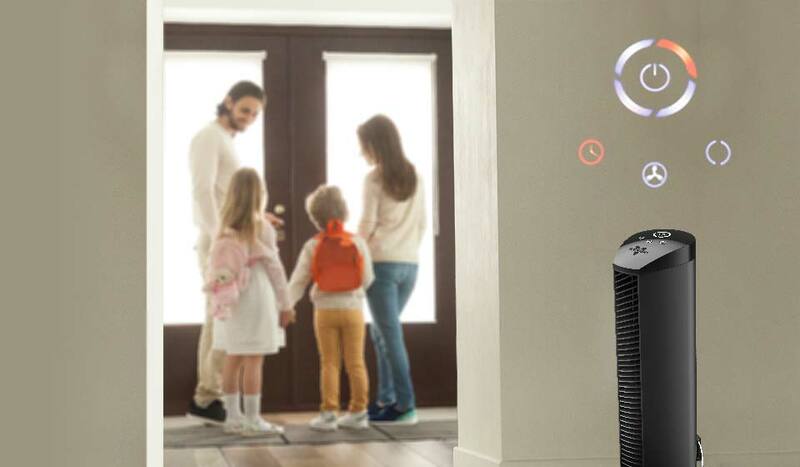 With whole room circulation, everyone in the room remains cool and comfortable – and that’s only half the story. 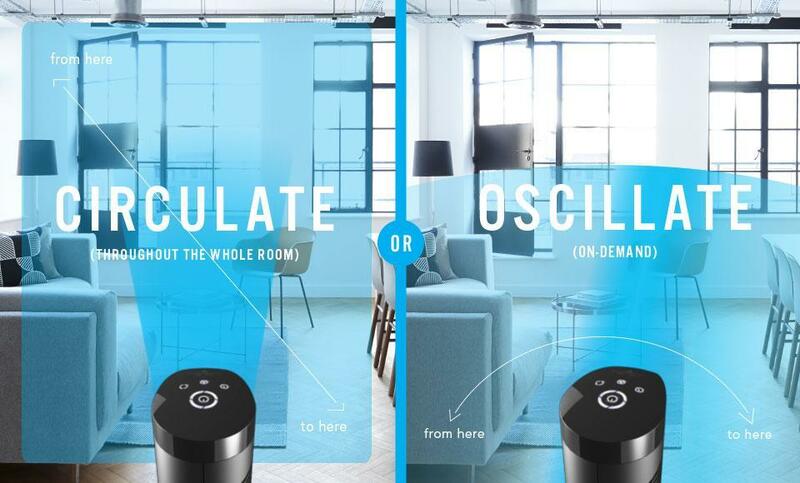 OSCR37 also offers a second option: oscillation mode – sweeping the room with cooling beams of high-velocity airflow. Designed for smooth, quiet oscillation and embellished with a chromed carry handle, the OSCR37 would be a beautiful and functional addition to any space. There are those that have experienced the constant comfort of whole room circulation. There are those that enjoy the sweeping air experience of oscillation. OSCR37 delivers the best of both worlds. Doesn’t it feel good to have options? It’s great to have options. 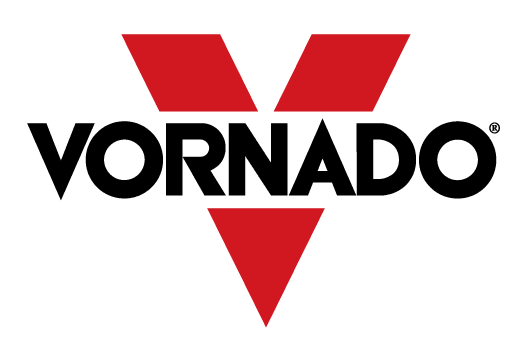 The OSCR37 offers the same whole room circulation that you’ve come to expect from Vornado, and for those who like options there is also powerful oscillation on-demand. 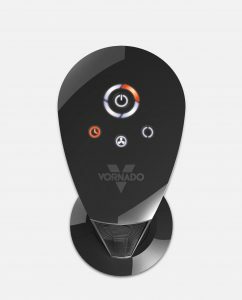 This oscillation utilizes the legendary Vornado power — designed to precisely deliver smooth and quiet comfort. The 3-12 hour timer shuts OSCR off when you’re not wanting to use it. Touch-sensitive controls help tailor your comfort between 4 settings as well as activating oscillation — or use the remote. For those who enjoy smooth, sweeping oscillation comfort, the OSCR offers that too. Gale-force winds or a gentle breeze – we’ll leave that up to you. 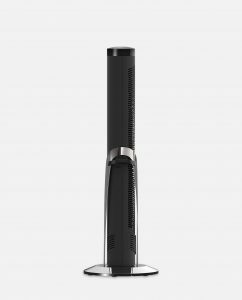 Incredible chrome accents, integrated handle and a sleek design. You could ask for more, but why would you?. 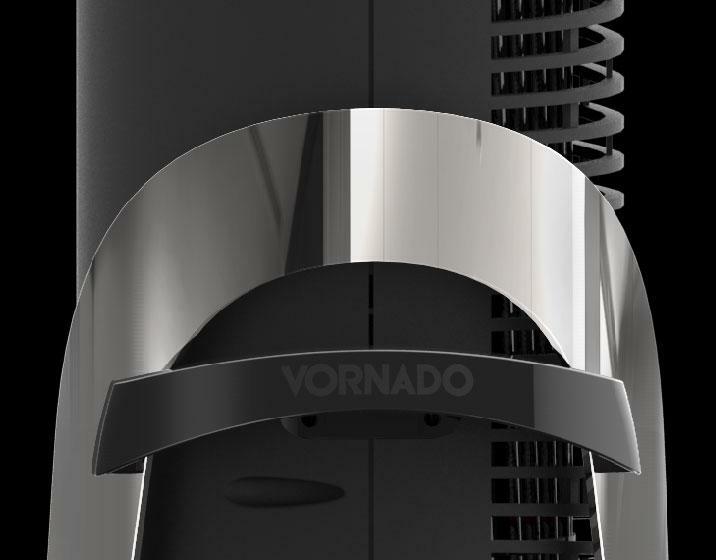 A Vornado tower uses powerful airflow to circulate all the air in the room. With OSCR, you also opt for smooth oscillation.